Hello, I have made a tag with the new gorgeous serie from Pion Design, Linnaeus Botanical Journal. 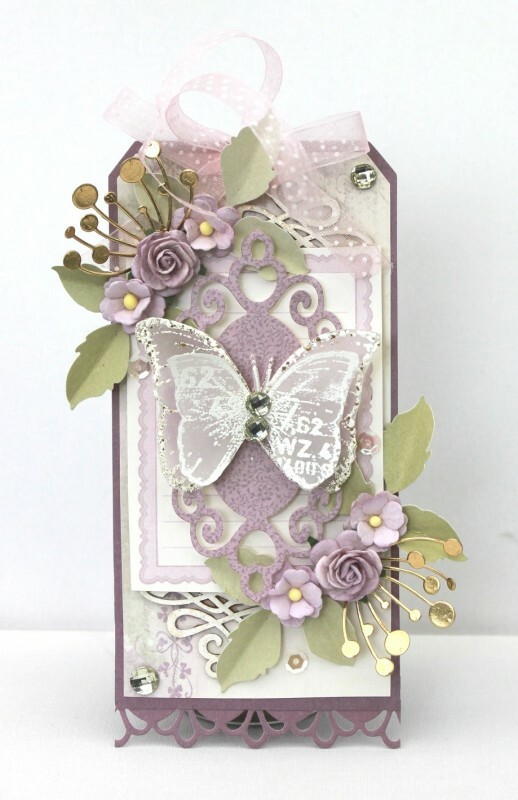 Love the color used, and the die cuts. I really love the Pion papers…so versatile! The flowers add the right touch!